(NaturalNews) Some readers may have seen the headlines at NaturalNews, or possibly even have pets that were affected by tainted dog treats, most likely originating from China, that have been making canine companions sick. The U.S. Food and Drug Administration (FDA) launched an investigation several years ago to sort out the situation, and recently affirmed that more than 1,000 dogs have died, and many others made ill, by eating contaminated jerky treats. The agency claims it doesn't know why the treats are hurting animals, but it admits that they are, and that pet owners need to be cautious. Thousands of illness reports have been submitted to the FDA over the past seven years citing gastrointestinal problems, kidney failure, and other health problems associated with the treats. Since 2007, the agency says it has received complaints about 5,600 dogs, 24 cats, and three people who were harmed by the treats. "The agency continues to caution pet owners that jerky treats are not required for a balanced diet and encourage them to consult with their veterinarians, both prior to feeding treats and if they notice symptoms in their pets," said the FDA in a recent statement. Last fall, NaturalNews reported on an earlier FDA warning about potentially deadly dog treats, which was not accompanied by a mandatory recall. The agency had issued a statement urging pet owners to keep a close eye on possible symptoms, which include decreased appetite, decreased physical activity, vomiting, diarrhea (sometimes with blood or mucus), increased water consumption, and/or increased urination. Most of the treats were found to have originated in China, but because current U.S. law does not require pet treats to bear country-of-origin labels, it is often difficult for pet owners to make educated purchasing decisions. Naturally, many pet owners have simply stopped buying commercial treats for their pets, opting instead for locally-produced treats or whole human food. The FDA says it is still receiving complaints about dog treats, having processed more than 1,800 of them just since October when the previous warning was issued. Roughly 60 percent of the cases involve some sort of gastrointestinal distress or liver disease, while 30 percent involve kidney disease. The remaining 10 percent involve other conditions, including neurological and skin disorders. Shockingly, about 15 percent of the kidney and urinary cases have tested positive for Fanconi syndrome, which is when the kidney tubes release substances into the urine that, under normal circumstances, are supposed to be released into the blood. The result is that affected animals become unable to process certain nutrients, leading to chronic illness or even death. 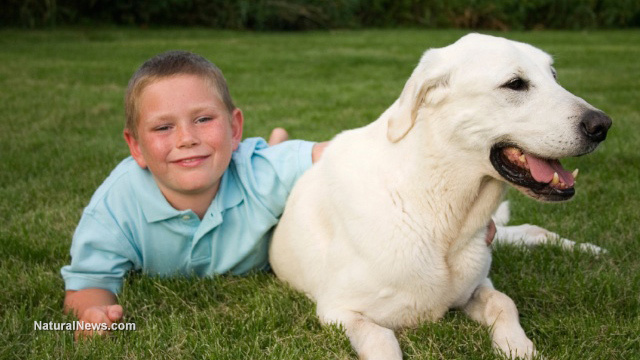 One of the causes of Fanconi disease, at least in children, is heavy metal exposure, which suggests that affected dog treats may be tainted with them. But the FDA refuses to admit that this may be the case, and has yet to take action against the manufacturers responsible for producing the products in question. Not surprisingly, many veterinarians are pressing the FDA for answers. "It's really hard to look at the number of cases that come in, correlate them with what they're eating and then go away from that and say, 'no, it's not related,'" laments Brett Levitzke, a veterinarian from Brooklyn, New York, who told NBC News that he has diagnosed more than a dozen dogs with Fanconi syndrome since 2011. "It's quite sad when you see it dawn on the people that they're trying to reward their best buddy there, and then now they're the ones who have been making them ill."